PropGlide is a foul-release coating that when applied to your propeller(s) and running gear will increase fuel efficiency and the performance of any vessel. 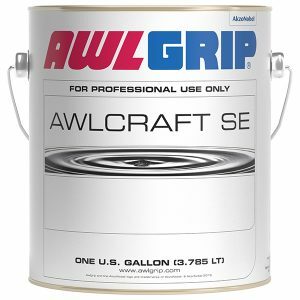 This super slick coating keeps your propellers clean from marine growth for extended periods of time. 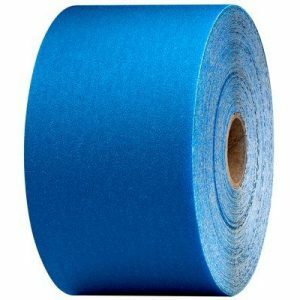 PROPGLIDE FOUL RELEASE SYSTEM – PropGlide is a foul-release coating that when applied to your propeller(s) and running gear will increase fuel efficiency and the performance of any vessel. 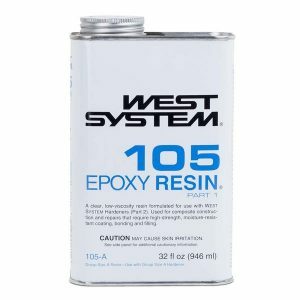 This super slick coating keeps your propellers clean from marine growth for extended periods of time. Gain the advantages by applying PropGlide to your vessel. Product is sold in 3 different sizes: Small (250ml kit), Medium (625ml kit), and Large (1250ml kit). See below for kit contents. PropGlide offers several advantages over competitive products including OVER 30% Savings and 25% More Product! 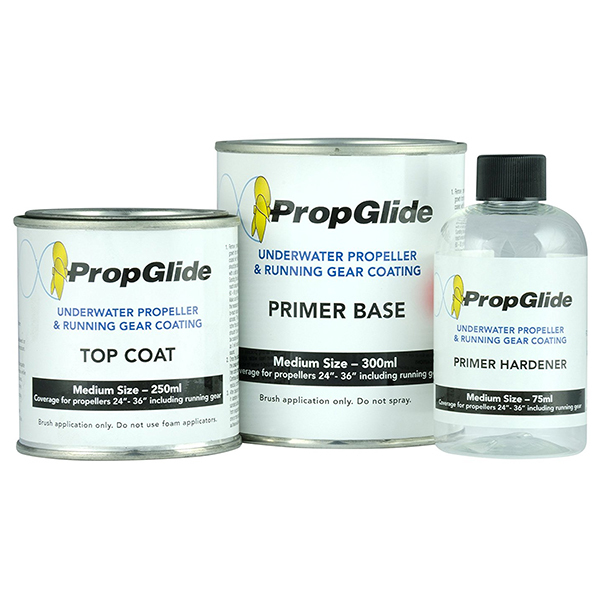 PropGlide dramatically reduces drag on the propeller and running gear caused by even the smallest fouling. Since growth is unable to attach to PropGlide you will achieve higher RPM and vessel speed. Clean props and running gear provide more efficiencies to the engine and less fuel is burned and money saved! 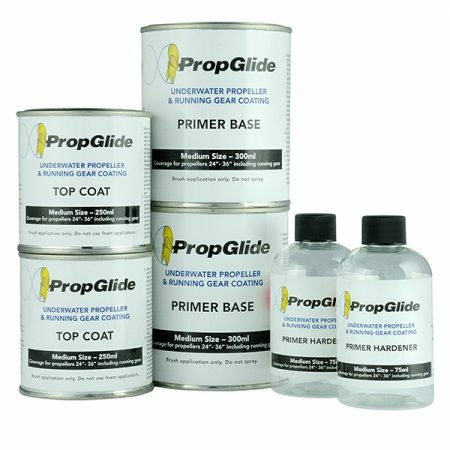 PropGlide is not a prop antifoulant, it is a foul release coating. It contains no harmful biocides, and performs because it is a super slick coating! 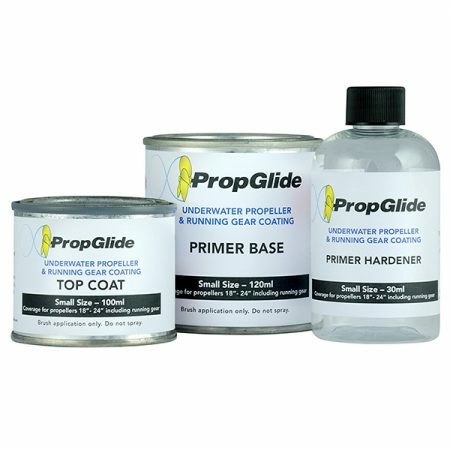 PropGlide is easy to apply for Do-It-Yourselfer’s and not just for the professional applicator.